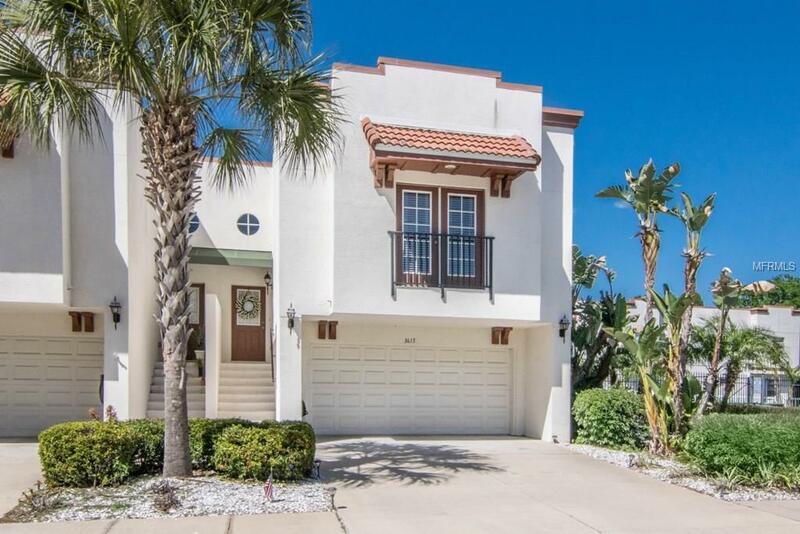 An impressive 3 bedroom, 2.5 bath townhome, with a 2-car garage in desirable South Tampa. Enjoy a bright, open concept floor plan complete with wood flooring. The kitchen features granite countertops, wood cabinets, stainless steel appliances and a closet pantry. The kitchen breakfast bar adjoins the living room, which is ideal for entertaining. The large, spacious owners retreat features three closets for plenty of storage and French doors to a Juliet balcony, providing natural light and fresh air. The luxurious en-suite features a garden tub, separate walk-in shower and expansive vanity with dual sinks. This lovely maintenance-free townhome community is located near restaurants, shopping, Mac Dill Air Force Base and Tampa International Airport. It is also minutes away from Bayshore Blvd., Gandy Bridge to St. Pete, the Crosstown Expressway and downtown Tampa. This community offers low HOA fees, lush landscaping, a picnic area and community pool.